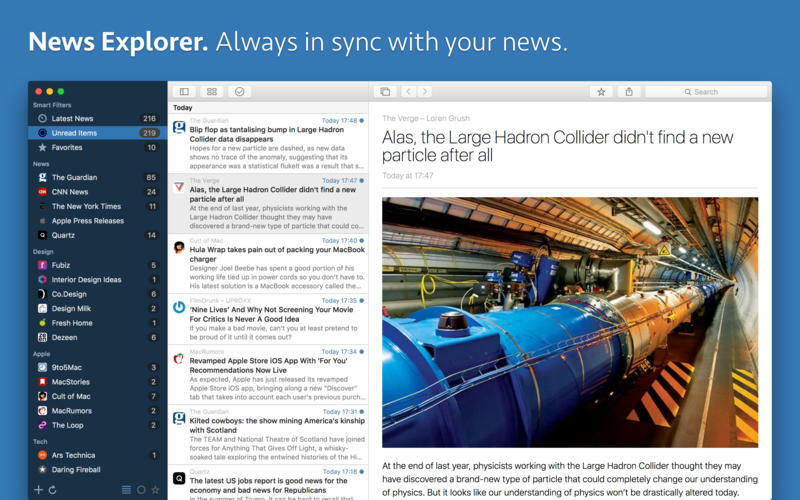 News Explorer syncs your subscriptions, folder setup, news items, read statuses and favorites across all your Apple devices. Built-in high speed RSS engine. 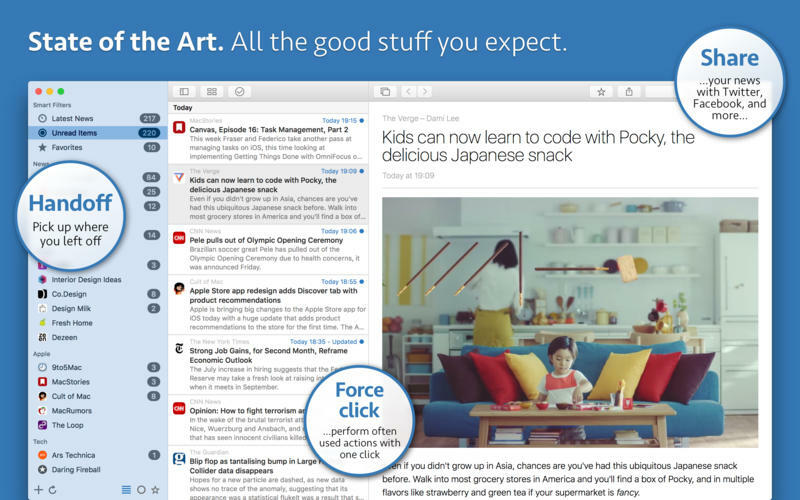 With Force click, you can easily perform frequently used actions on selected news items. 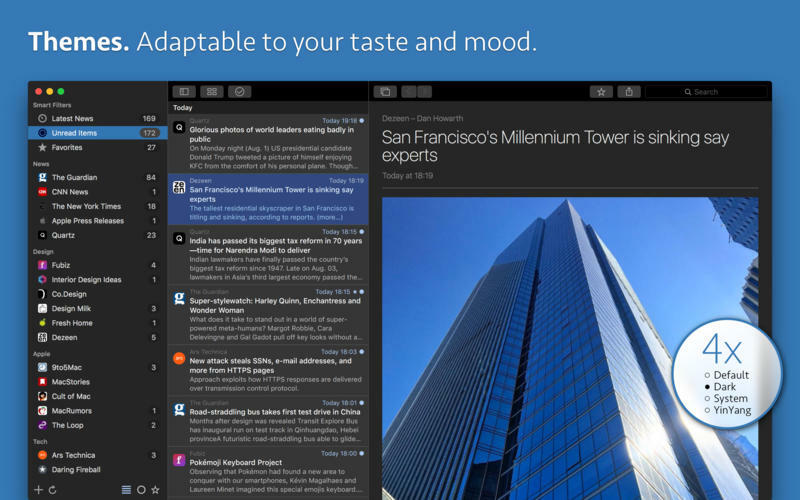 Perform quick actions with horizontal swipes in the news items list. Pull subscription list to start a sync session. Thanks for this application !